POD-S3.1 trainers created with NEIGHBORHOOD and A BATHING APE. 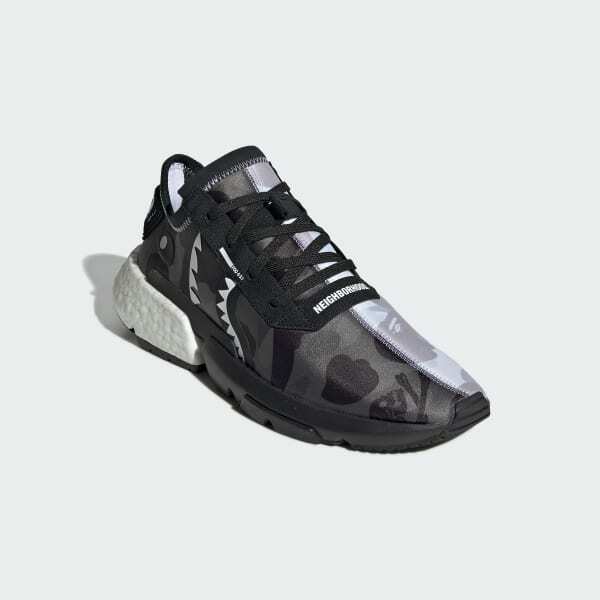 Uniting adidas heritage with trend-setting Japanese design, these trainers are created with NEIGHBORHOOD by Shinsuke Takizawa and A BATHING APE® aka BAPE®, a brand that has roots in Harajuku's street-style scene. These neoprene shoes have a snug, comfortable feel. 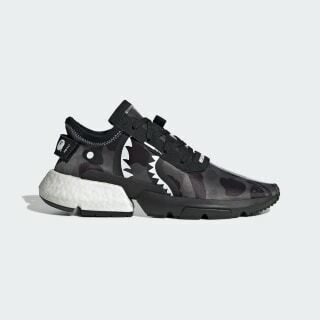 They flash a 3D shark face on the lateral side and a black-and-white camouflage print in the middle. The three-part midsole brings back the '90s-era P.O.D. System to today's streets. Responsive Boost cushioning at the heel delivers incredible energy return.